Are you looking to download Samsung Galaxy J7 J730F combination file? If yes then you have landed on right place. Checkout below download section and download Samsung Galaxy J7 J730F/Ds combination file with all necessary flashing tools and Stock firmware. Samsung combination files are pre-enabled usb debugging firmware ROM and combination files may be different for different Samsung devices according to their build number and region. So make sure you have download compatible Samsung combination file for your device. If you are sure, you have downloaded the correct combination file for your own frp locked Samsung device then go ahead and follow the combination file flashing procedure & unlock Samsung frp without any flash tool. Please Note: Remember all the firmware and combination files on this post are only and only for Samsung galaxy J7 nougat android Smartphone. 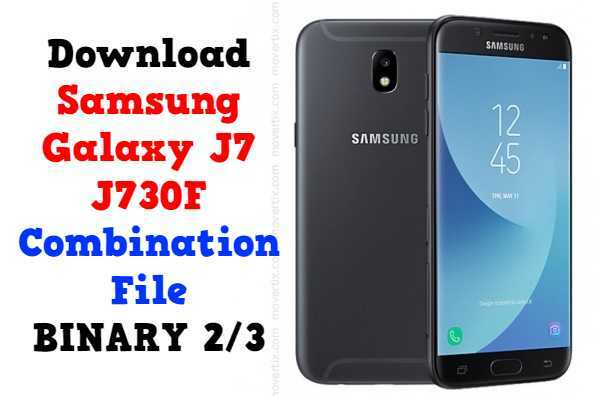 Download free Samsung combination for Samsung Galaxy J7 and flash to bypass frp lock, please don’t try to apply these combination files on any other Samsung model. Otherwise it may brick your device permanently. • Select Samsung Galaxy J7 J730F .